The United Nations Security Council on Monday agreed on its toughest-ever sanctions against North Korea that passed unanimously after the United States softened its initial demands to win support from China and Russia. The sanctions set limits on North Korea’s oil imports and banned its textile exports in an effort to deprive the reclusive nation of the income it needs to maintain its nuclear and ballistic missile program, and increase the pressure to negotiate a way out of punishing sanctions. “The stronger the sanctions we impose on North Korea, the stronger our hand in promoting a political solution,” said French U.N. Ambassador François Delattre ahead of the deliberations. The new set of sanctions come on top of previous sanctions that cut into North Korea’s exports of coal, iron ore and seafood. A U.S. official familiar with the negotiations over the resolution said more than 90 percent of North Korea’s reported exports are now covered by sanctions. 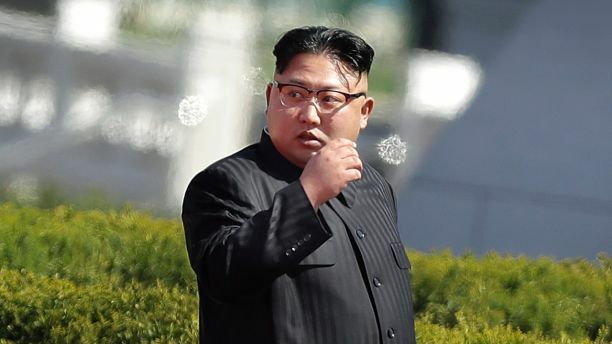 The new sanctions ratchet up to the pressure on North Korea, though they are far less sweeping than what Washington originally sought after Pyongyang carried out its sixth and most potent nuclear test on Sept. 3. But the United States agreed to drop several key demands, and toned down others, to keep China and Russia from exercising their veto over the measure. Only a week ago, Nikki Haley, the U.S. Ambassador to the United Nations, urged the “strongest possible” sanctions on North Korea. Among the measures Washington pushed in an initial draft were a complete oil embargo and an asset freeze and global travel ban on leader Kim Young Un. During negotiations last week and through the weekend, the embargo became a cap and the punitive measures against the leader were dropped. But the sanctions are potentially far-reaching in their ability to cut off North Korea’s sources of revenue. Under the Security Council resolution, oil imports of both refined and crude oil will be capped at 8.5 million barrels a year, which the U.S. official said represents a 30 percent cut. Natural gas and condensates also were prohibited to close off possible alternative fuels. In addition, textiles, which last year accounted for $726 million representing more than a quarter of North Korea’s export income, are banned. In an effort to curb smuggling, the resolution allows countries to demand the inspection of ships suspected of carrying North Korean goods, though a U.S. proposal to allow the ships to be challenged with military force was dropped. But ships proven to be abetting Pyongyang’s efforts to evade sanctions are subject to an asset freeze and may be barred from sailing into ports. And in a separate measure that will not take effect immediately, countries will be required not to renew contracts for an estimated 93,000 North Korean guest workers who labor overseas. According to U.S. assessments, their salaries bring the North Korean government $500 million a year. In recent days, the United States and its allies spent the last several days trying to come up with a resolution that would be acceptable to Moscow and Beijing. China, which is responsible for 90 percent of North Korea’s foreign trade, is particularly reluctant to impose sanctions as leakproof as the United States wants, because it fears chaos across its border could set off a wave of refugees and potentially end up with a more democratic model in place of the authoritarian regime. Russia, itself the subject of sanctions over its annexation of Crimea and interference with separatists fighting the government in eastern Ukraine, has called sanctions against Moscow “illegal” and suggested they are not an effective tool.